The second edition of the State Line Road Race was held this past Saturday. Threats of storms had some riders decide the better part of valor was to avoid the increased crash risk and race another day. 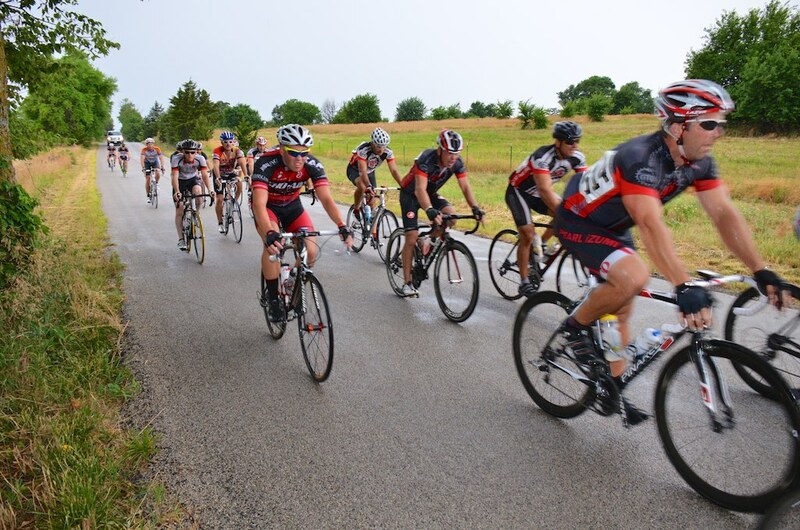 However, around 150 riders decided to stick it out and lined up at the start to race despite the deluge. The rain drops began to fall as riders were arriving and getting their gear together for the day’s event. When riders took to the line the rain had been falling for a while and the course was wet and slick. This year’s course was lengthened by about 2 miles, for a total of 8.5 miles per loop, which allowed a little more room for the various categories that were sharing the road at the same time. 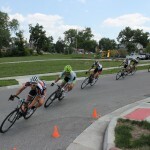 Groups went off a few minutes apart and race distance varied from 17 to 68 miles depending on the category. The wet conditions created super-slick conditions and riders were going down as a result. There were a fair number of crashes due to the wet conditions. One in-race incident during the 1/2 race could have ended worse than it did. On one of the intermediate laps, as the 1/2 racers were coming across the finish line and several were competing for the prime lap prize, an SUV hauling a trailer was on course. As the riders tried to navigate around the vehicle, the driver ended up hitting Vincent Delaughder of Team Slimenundgrossen/Localcycling.com and launching him off of the roadside into the ditch. Vincent suffered only minor injuries but the driver did not stop and the authorities were called and given the vehicle’s information. No word yet on if the driver was found. Even though it was only the second edition of the race, it has become very popular. The category 5 race had reached its rider limit early and promoters ended up opening up a second field to accommodate those riders who still wanted to race. 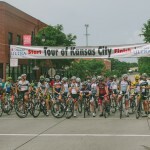 The close proximity to the KC area and the challenging final climb attract many riders locally and even brought in some riders from out-of-state this year. The race is sure to continue to see growth in subsequent years.